The SU1-TWIST is equipped with an octal PCI Express to UART bridge. The 950-style UARTs are compatible with many asynchronous serial applications and protocols. Four isolated EIA/TIA-485 transceivers are wired to Micro-D front panel connectors, individually configurable for fullor half-duplex operation, either point-to-point or multipoint (PartyLine) applications. 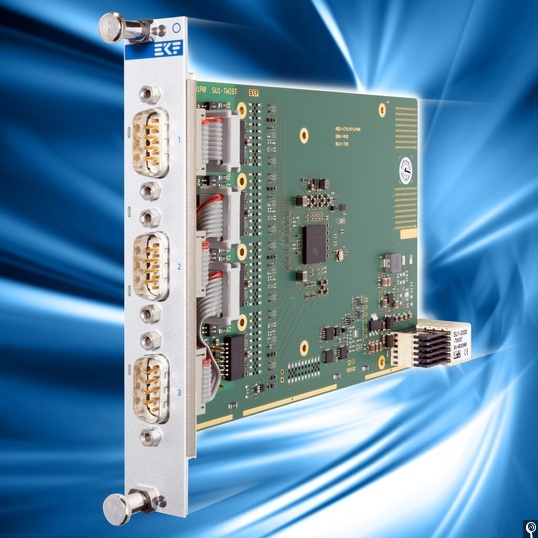 Another four UART channels are available via the CompactPCI Serial backplane connector P4 for versatile rear I/O usage.